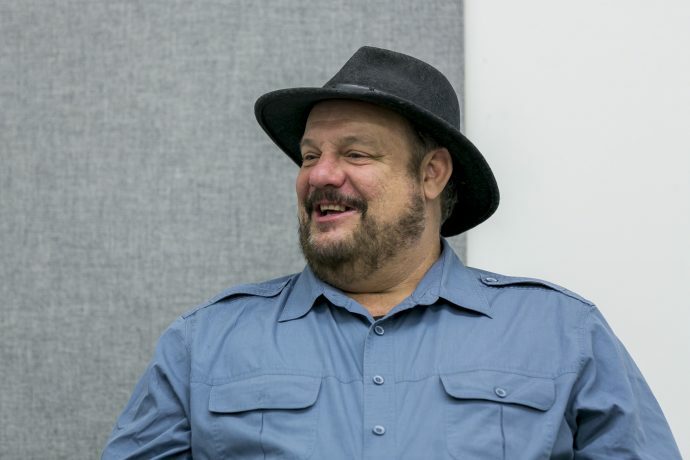 Today we received the sad news that Dave Pickerell passed away on November 1, 2018. Pickerell was a legendary figure in his industry, and was instrumental in the revival of American rye whiskey. The entire Bevvy team extends its condolences to those who knew him. The below story originally ran on July 25, 2017. Pickerell is a bearded man in a Western shirt and a wide-brimmed felt hat, seated at a folding chair in the center of the room. His stance is wide, his back is arched forward, and each of his arms rests above a knee. His palms are often extended and open, as if signaling that he’s got nothing to hide. Pickerell, who spent 14 years as Master Distiller at Maker’s Mark before joining WhistlePig, recalls a common question he was asked after the release of WhistlePig’s 10 Year Old Rye Whiskey. That was the year Pickerell was enlisted to distill a rye whiskey using George Washington’s still. This project, spearheaded by the Distillers Council of the United States, the Wine and Spirit Wholesalers Association, and the Mount Vernon Ladies Association, was an effort to highlight the first president’s often-overlooked background as a distiller. In order to properly reflect that history, Pickerell would have to distill the same stuff Washington had. And that stuff happened to be rye whiskey, which presented a problem: it was practically extinct. But for Pickerell, rye wouldn’t be a one-night stand. But before that romance could reach its zenith, there was the matter of acquiring a still. In 2004, the Smithsonian was exhibiting what they claimed to be an original still used by George Washington. But Pickerell knew something was off: while it appeared to have been manufactured around Washington’s time, it was too small to be the genuine article. Pickerell brought the issue to the attention of the Smithsonian, which responded by removing the display. The WhistlePig Still. Credit: WhistlePig. Pickerell brought the still back to Mount Vernon, and distilled the first batch of rye whiskey to be made on the site in 200 years. He’d completed the task, but he wasn’t ready to leave the world of rye whiskey behind. Along he way, Pickerell learned of the two main styles of rye: Maryland and Monongahela. The Maryland style, which he describes as a “kissing cousin” of bourbon, was produced south of the Mason/Dixon line and included corn in its mash bill. In contrast, the Monongahela style—named for the river that runs through West Virginia and Pennsylvania—was made with 100% rye. But his newest fixation was in short supply, even by rye standards. “Monongahela rye basically died on December 5th, 1933,” Pickerell says, referring to the date of prohibition’s repeal. He explained that while prohibition had been hard on wine and beer, it actually increased the consumption of spirits. But the ban on distilling had severely depleted America’s stock of rye whiskey, and domestic distillers that were just getting back on their feet found themselves competing with vast imports of Canadian whisky, Caribbean rum, and scotch the moment prohibition fell. The final nail in the coffin was the Agricultural Adjustment Act of 1933, which subsidized corn—but not rye. Bourbon became king, and the rye distillers that remained produced only Maryland-style ryes. Pickerell himself was still in the bourbon business, but he was dreaming of Monongahela rye. He searched the continent for a distillery that could produce a true Monongahela, and learned that there was only one: Alberta Distillers, in Canada. Despite the discovery, the forlorn state of rye sales made Pickerell hesitant to quit his day job. But all that changed in 2006, when bartenders “staged a little revolt of their own,” according to Pickerell. Fed up with the saccharine concoctions that had dominated for decades, bartenders rediscovered classic cocktails and the spirits required to make them. As a consequence of this back bar soul-searching, rye sales increased by 20% in 2006, and then 30% in 2007. Pickerell saw the numbers, and jumped right in. He knew that rye had a reputation for being too aggressive, the result of either being too young or having too much tannin. To solve the latter problem, Pickerell developed a two-barrel finish. Once the tannins are detected, Pickerell solves the issue by transferring the spirit to another barrel—a once-used, 53-gallon bourbon barrel, to be specific. This allows all of the desired chemical reactions to continue occurring in the barrel, without all the extra tannins seeping into the spirit. Pickerell’s mission to find the “perfect proof” involved days of tasting, and constant re-cuttings of the spirit. He finally found what he was looking for at 100 proof. So Pickerell decided to conduct a field test. He brought a bottle of the 100 proof rye to a bar that attracted an after-hours industry crowd, and poured out 55 shots. He passed a shot to each bartender that walked through the door, as well as a 3×5 notecard and instructions to mark the card with their guess at the rye’s proof. “After all 55 shots were gone, we treated it like a caucus,” Pickerell says. The average guess was 86 proof, and no single guess put it above 90. Pickerell had found his perfect proof: now he needed a partner. Into that role stepped Raj Bhakta, a colorful entrepreneur who had recently purchased a former dairy farm in Shoreham, Vermont. The two became a team, and WhistlePig was born. Dave Pickerell and Raj Bhakta at the farm. Credit: WhistlePig. At the offset, Pickerell had two plans. Plan A involved growing all their grain on the farm, which would then be distilled and barreled on-site. Plan B was to use rye from Alberta Distillers, which would undergo its second barreling at the farm. But first, the pair had to contend with Vermont’s Act 250, which discouraged the repurposing of agricultural land for non-agricultural purposes. Pickerell didn’t expect to meet opposition: they would be pulling water from the ground and using grain to feed livestock. However, the local bureaucracy felt otherwise, and ensnared WhistlePig into four and a half years of hearings and red tape. Eventually, the brand’s use of the land was deemed agricultural. But it took another year to build out the farm’s facilities, and time was no longer on their side. But once the government learned of the double-barreling process, they changed their minds. They now considered it to be a product of the United States, and ordered “Product of Canada” to be removed from the label. The WhistlePig Farm. Credit: WhistlePig. Pickerell’s next challenge was crafting the 12-year old expression. He had kept an eye on the new barrel finishes coming out of Scotland, and decided he wanted to compete. On a mission to learn everything he could about barrel finishing, Pickerell reached out to a friend and barrel broker in Spain and asked for “every fortified wine barrel type that you can get your hands on.” In the end Pickerell received 16 different barrel types, which included Madeira, Sherry, Sauternes, Moscat, and Tokaj. He then began the mammoth process of narrowing down the selection. For two years he tinkered with finishes, enlisting the opinions of over 500 bartenders along the way. One-by-one barrels were eliminated, until only French Sauternes, Tawny Port, and Verdelho Madeira remained. Pickerell created pure finishes with each of the barrels and released them in limited numbers. Then he waited for the reception. The French Sauternes was released in time to compete in the 2015 San Francisco World Spirits Competition, and took home “Best Rye.” But there wasn’t time for Pickerell to rest on his laurels. Now he had to marry those three pure finishes into one product. With his eye droppers and a chemistry kit at hand, Pickerell tinkered with his formula nightly for the next six months. He had refined it to the point where all four elements were detectable, but the balance he sought continued to elude him. He resolved to do one more batch, deducting one percent from the Madeira finish and adding one percent to the port finish. The result was nothing short of a distiller’s eureka moment. His winning mix was 63% Madeira finish, 30% Sauternes finish, and 7% port finish. For the rye itself, Pickerell chose not to use Alberta Distilling’s 100% rye, and instead opted for the 95% rye distilled by Indiana’s MGP Ingredients, which played better with the acidity of the Madeira. This became WhistlePig Old World, which went on to be named 2016 Spirit of the Year by the Robb Report. His previous efforts have included parts of that concept. He defines the 12-year, made using their water, as single terroir. Likewise the 10-year, which was made using both their water and their wood, can claim double terroir status. In October of 2015 WhistlePig completed its distillery, allowing that last element in the triple terroir equation—spirit—to be made on the farm. And since that copper still was first fired up, Pickerell has been hit with the same question. 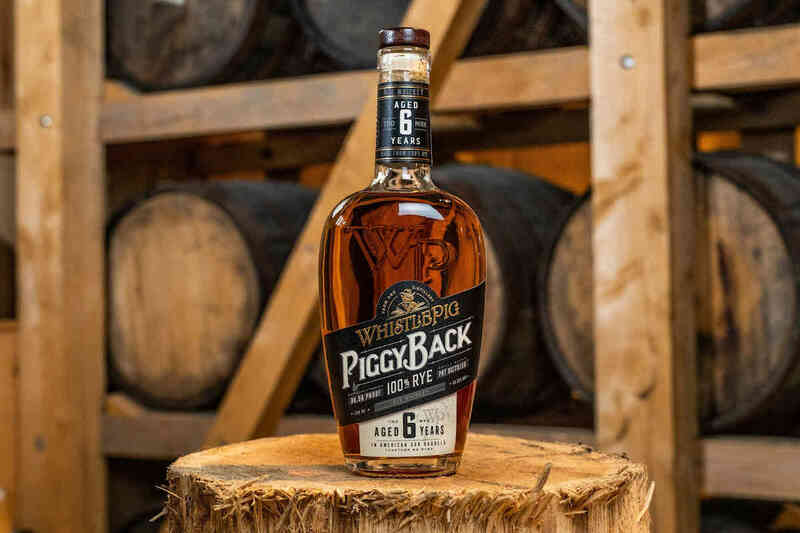 Pickerell found that “yes” in the form of WhistlePig FarmStock, a new series of whiskey releases. Each release will be referred to as a “Rye Crop,” and contain varying amounts of their own rye blended with rye from MGP and Alberta Distillers. Rye Crop 1 is broken down into 20% one-year to 18-month-old rye from WhistlePig’s still, 49% five-to-six-year-old rye from Alberta Distillers, and 31% 12-year-old rye from MGP. Rye Crop 1 has seen a sequential rollout through the country, and has already become a prize. Pickerell notes that about 220 boxes were marked for the Northern California market, and each bottle was spoken for before it hit shelves. A second, larger release is intended for later in the year. While there is not even an estimate for when Rye Crop 2 will be released, Pickerell predicts that it will contain a higher percentage of WhistlePig’s own spirit, bottled at an older age. Eventually, Rye Crops 3 and 4 will follow. Ambitious as it is, the FarmStock project doesn’t have a monopoly on Pickerell’s creativity. WhistlePig has recently begun selling barrel-finished coffee, and barrel-aged bitters are slated for release later in the year. Pickerell even mentions his desire for WhistlePig to eventually produce a rye with a cocktail-friendly price. The WhistlePig whiskey lineup. Credit: WhistlePig. There is one impending product that Pickerell seems particularly proud of: the full release of Boss Hog IV in September. The latest installment in WhistlePig’s Boss Hog series is a 14-year-old, 95% rye whiskey finished in Armagnac casks and bottled at 124 proof. But what’s most remarkable about the latest Boss Hog is the accreditation it’s already received: it was named “Best Rye” and “Best Whiskey” at the 2017 San Francisco World Spirits Competition. For Pickerell and WhistlePig, it was a major milestone. “I’ve been best rye whiskey in the world before. I’ve been best American whiskey. I’ve been best West Hemisphere whiskey. 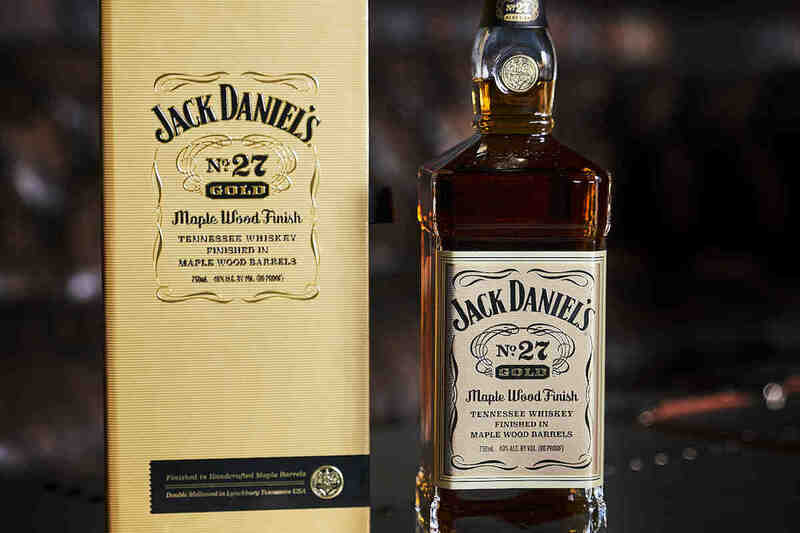 Never been best whiskey in the world until now,” says Pickerell. There is a joke Pickerell likes to tell, and it’s a familiar one. Two hunters are setting up their camp in the forest, until a bear is heard in the distance. In response, the first hunter begins lacing up his running shoes. Vexed, the second hunter reminds him that he can’t outrun a bear. The first hunter responds by saying he doesn’t have to outrun the bear—all he must do is outrun the second hunter. For Pickerell, it’s an analogy. 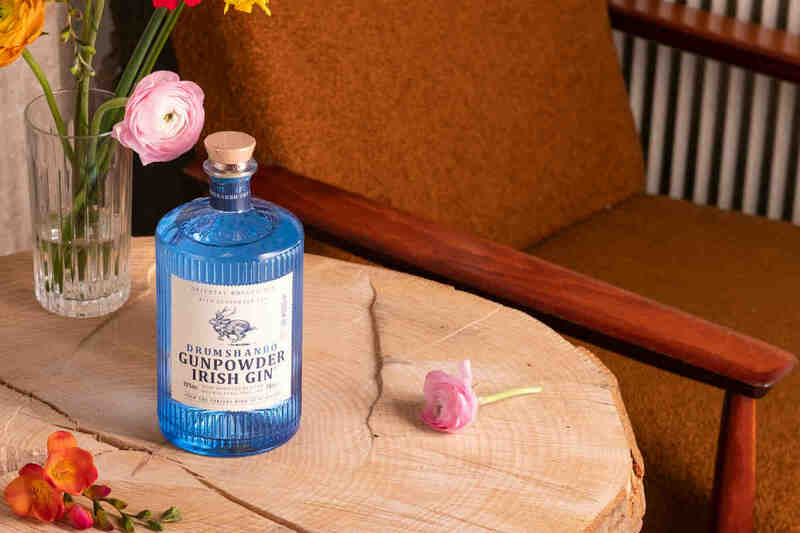 The hunters are domestic craft distillers content to compete with one another, rather than setting their sights on Scotland—the bear. Boss Hog’s remarkable win may have put some good distance between Dave Pickerell and that bear. But it doesn’t look like he’ll be taking off his running shoes anytime soon.